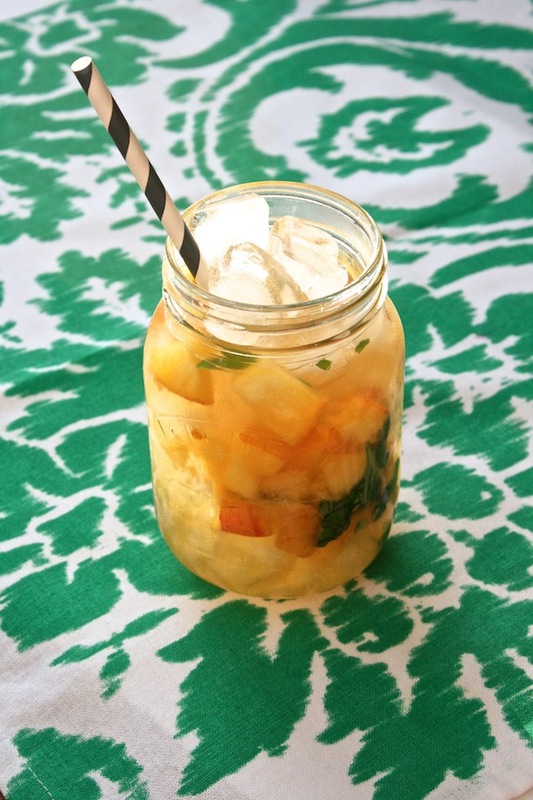 Summery Peach–Basil Whiskey Smash Recipe! / Hey, EEP! 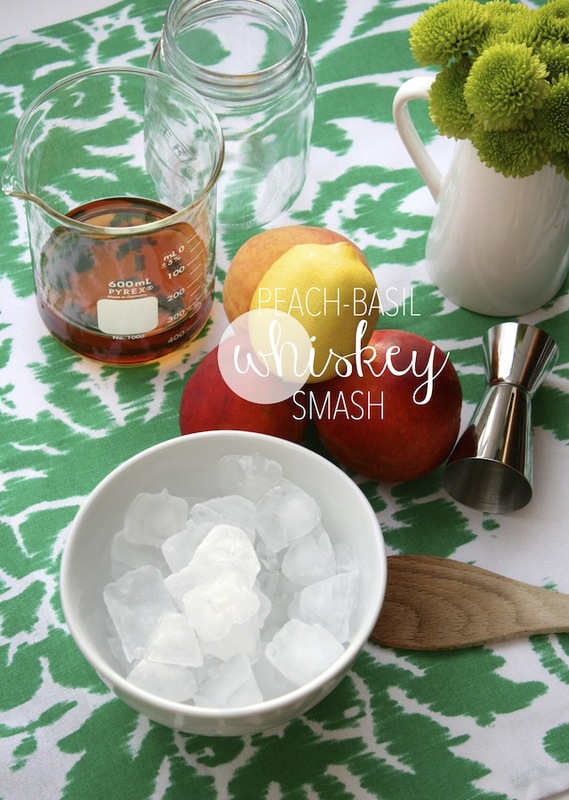 Summery Peach–Basil Whiskey Smash Recipe! I tend to lose interest in making a cocktail if it calls for a million ingredients (especially on a weeknight). I'm talking 4 or 5 ingredients tops! That's why I love a good whiskey smash. You can tweak the basics—lemon juice, simple syrup, whiskey—with whatever herbs and/or fruit you have on hand. I always keep peaches and basil in our kitchen this time of year and it turns out they're the perfect combination in this low-key summer drink. Want to walk through how to make one together? Oh! 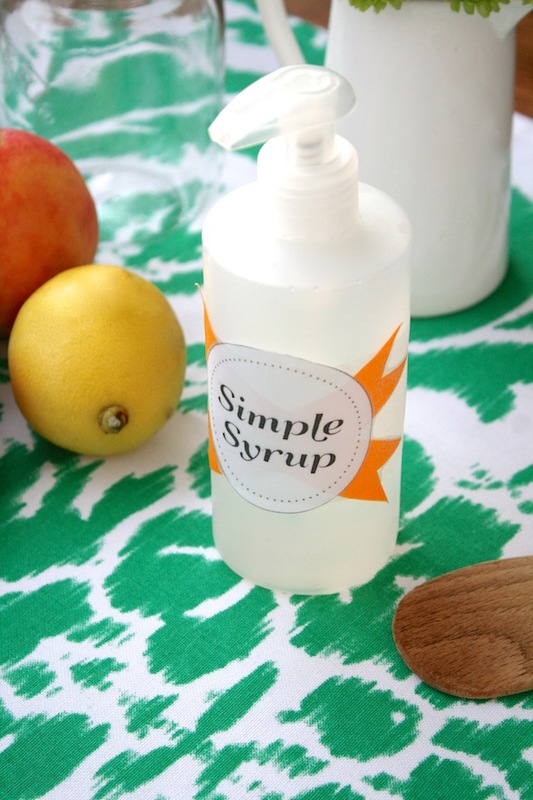 Before we do, though, I'd love to show you something: my DIY Simple Syrup Saver. If you're a cocktail family like we are, you know that simple syrup spills can get sticky—super sticky if they happen mid-party and you can't clean 'em up right away! So I keep our simple syrup in a cleaned-out soap bottle for easy dispensing. You can squirt it right into a measuring spoon or jigger...no spills! Bonus: It's kind of cheery in the fridge. In a cocktail shaker or mixing glass, mash the basil leaves, peach, simple syrup and lemon juice with the end of a wooden spoon. Pour into a crushed ice–filled glass.